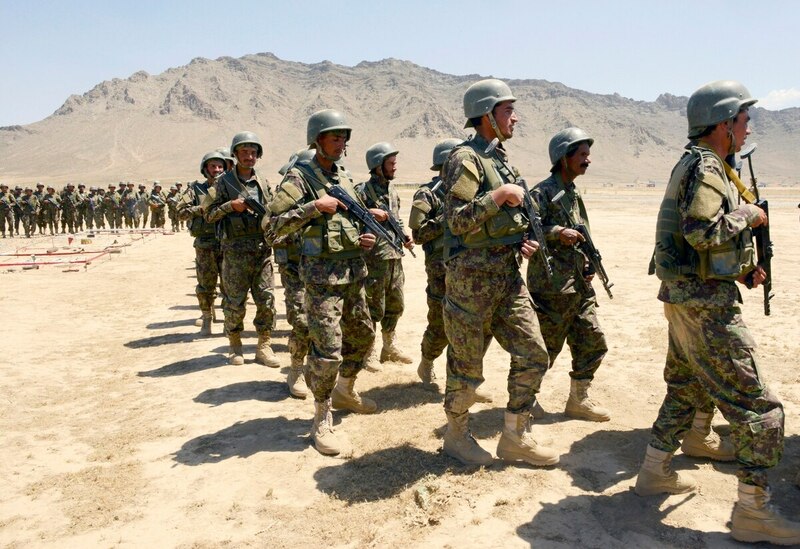 WASHINGTON — Afghan military and police forces had higher numbers of battlefield casualties in a “difficult and bloody summer” of fighting the Taliban insurgency, the American general overseeing the war said Thursday. Army Gen. Joseph Votel, the commander of U.S. Central Command, told reporters at the Pentagon that the Afghan losses are “an area of important focus” for the newly installed U.S. commander in Kabul, Army Gen. Scott Miller. Votel did not say how many Afghan troops have been killed this year but noted that Afghan officials have said the casualties will not deter them. Asked directly whether the number of Afghan casualties had increased this year over 2017, Votel said, "It's my understanding that it is increasing." Thousands of additional U.S. forces, new authorities and recent ceasefires give hope, general says. At the request of the Afghan government, the U.S. military command in Kabul does not publicly reveal numbers of Afghan combat losses. But Votel's comments suggest the trend is worrisome, even if the Afghan government continues to insist that it can sustain this pace of casualties. At the end of 2014, U.S. forces stopped taking a direct role in ground combat against the Taliban and shifted to what they call an advise-and-assist role. Since then, Afghan forces have taken heavy losses even though they outnumber the Taliban and are supported by U.S. forces. The Taliban benefit from sanctuary in parts of neighboring Pakistan. Votel said the U.S. was still trying to get Afghan forces to lessen their dependence on what he called "poorly defended," vulnerable checkpoints, which the Taliban regularly and successfully target. For at least six years, U.S. military officials have tried to convince the Afghan authorities that these checkpoints are too difficult to defend and should be abandoned. The Afghans have largely refused, saying these are needed to protect the population. "When we do look at the casualties that the Afghans are absorbing, we do link them back largely to these more defensive, static positions that they have difficulty supporting," Votel said. Shortly before Votel began speaking by telephone from his headquarters in Tampa, Florida, Miller’s command announced that one American service member was killed in action in Afghanistan. The announcement provided no details, and Votel declined to say anything beyond calling it a combat loss. Votel said more would be disclosed after the service member’s family was notified of the loss. It was the seventh U.S. combat death in Afghanistan this year. The most recent had been Sept. 3 when Army Command Sgt. Maj. Timothy A. Bolyard, 42, of Thornton, West Virginia, was shot to death by a member of the Afghan national police in Logar province. The announcement from Kabul said the America death was under investigation. In line with standard practice, the name of the person will not be officially released until 24 hours after family members have been notified. "Initial reports that I have seen are that this is as a result of combat action, and not a result of anything else that you have seen," Votel said. "We'll have to find out more" about the circumstances before saying whether the combat loss came during fighting with the Taliban or the Islamic State group's affiliate, Votel said. The Pentagon says there are about 14,000 American troops in Afghanistan. The plan calls for destroying the Islamic State affiliate in Afghanistan. A central element of the Trump administration’s strategy for pushing the Taliban into peace talks with Kabul is to compel neighboring Pakistan to stop allowing sanctuary for Taliban leaders and to take military action against extremists on its side of the Afghan border. Pakistani officials say they are cooperating on this, but Votel insisted more be done, including a greater effort to force the Taliban to the negotiating table.